Awe inspiring photography? Check. Compelling copy? Check. Using those imperative elements of yearbook content you’ve successfully shared the biggest and best stories of the school year. But what about the details, the supporting or tangentially related tidbits that’ll entertain and inform your readers? Need a refresher? Check out this post, which covers the history of how mods came to be and some tips for using them. Need an example? You’ve come to the right place. 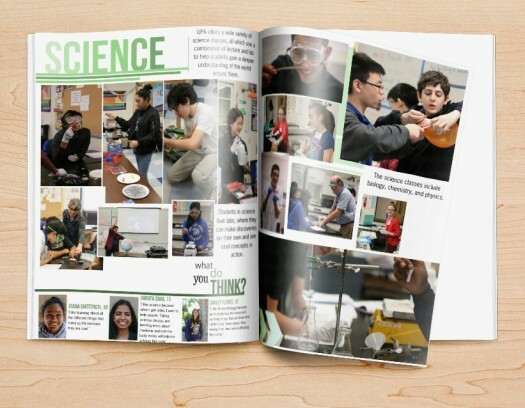 Read on, and we’ll show you five different yearbook mod ideas from TreeRing high schools that you can use this year. They’ll all give your spreads that dash of panache they’ve been missing. Somewhere on your staff there exists a fledgling journalist: let them flex their investigative muscles! The Person on the Street content mod is all about taking the pulse of your school’s student body. Outside of helping the New York Times fill its future talent pool, using this mod will give your spreads multiple voices, differing opinions that can provide context and spark conversation. 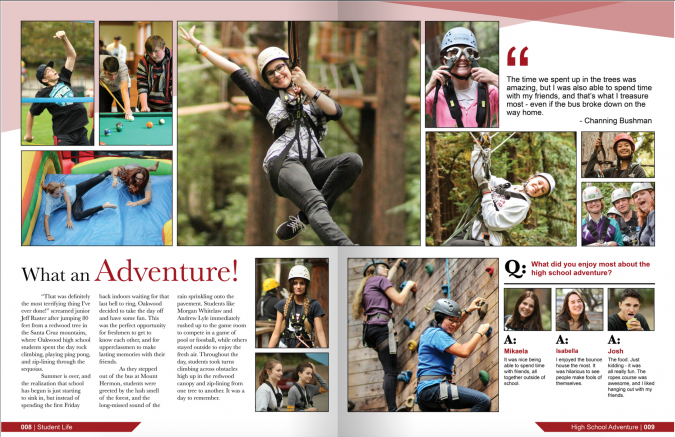 As you can see in the image above, there are all the tenets of your run-of-the-mill yearbook spread. Beautiful photographs highlight the event (in this case an adventure retreat). There’s a well-manicured block of copy. 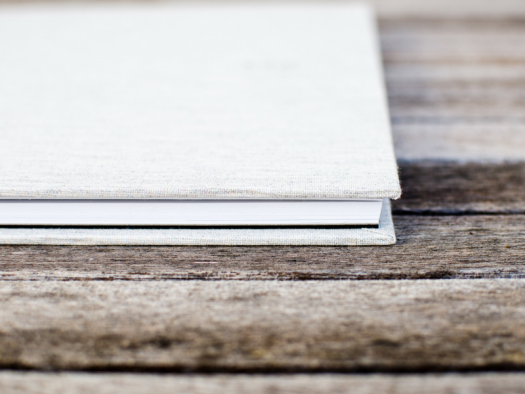 Subtle design elements frame the pages. Solid stuff, for sure. But move your eyes to the right and you’ll notice something totally different: instead of more copy or an extended collage, you see the thoughts and feelings of members of your student body. At the top of the page, a quote from one student contextualizes the ups and downs of the event; towards the bottom, three students (highlighted with headshots), provide unique responses to a single question. Let’s face it: thanks to the Man on the Street mod this spread has personality for days. We love great copy at TreeRing, but sometimes a picture really is worth a thousand words. This rings true for photographs, sure, but when data of some sort can be rendered in a way that proves both aesthetically pleasing and informative, that’s when the real magic happens. 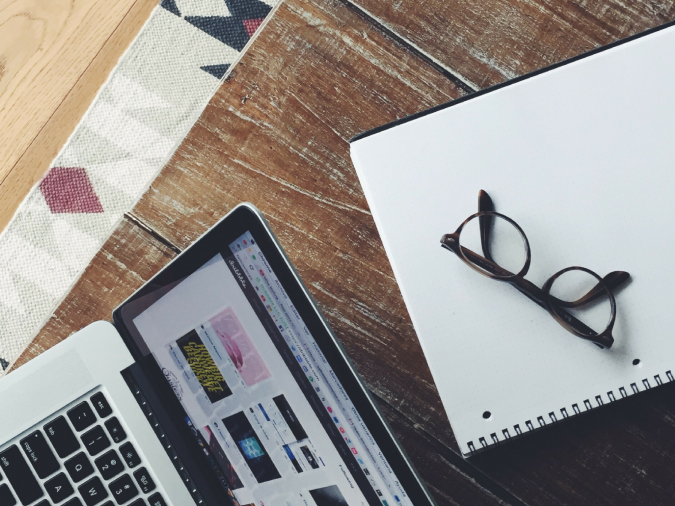 An infographic mod should feel familiar since you probably reference data visualizations on a daily basis in the classroom. Diagrams, polls, charts, and graphs can convey knowledge that might have otherwise taken pages to impart. Why list out the Snapchat filters your students love when you could do what the yearbook staff at Santa Rosa High School did? Clean. Simple. Pretty. What more could you want? Infographics can be especially useful as a way to break up pages on which content (photographs or copy) seems to blend together in an indiscernible mosaic. Which is why we specifically pointed out this example: it really adds some visual interest to the portrait pages. Plus, it’s a great way to show your student body’s collective voice while showing your student body. 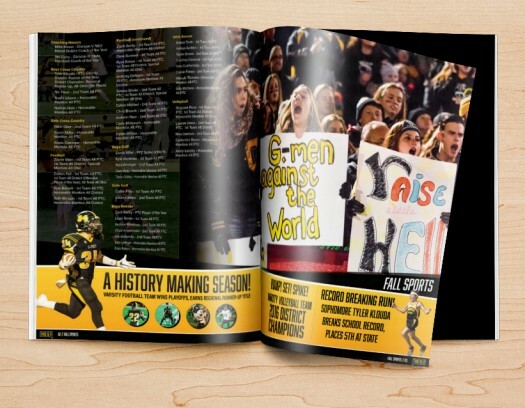 While there’s been a big trend in yearbooks to cover the year by theme instead of covering the year in chronological order, there’s no debating that some stuff happens in a set order. And when that’s a big part of the story, it’s important to respect that. As the name suggests, the timeline mod is a literal timeline added to you spread in order to convey supporting details in chronological order. 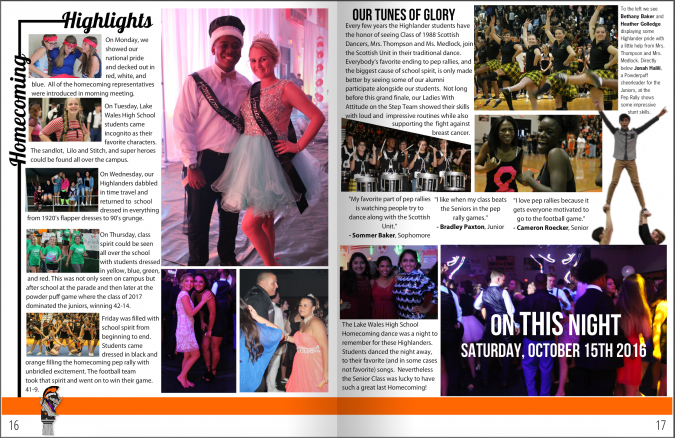 In the homecoming spread from Lake Wale High School below, the page on the right has everything you’d expect: copy, quotes from students, and photos of both the pep rally and homecoming dance. The unique placement of the header, at a 90 degree angle, frames the timeline. The photos and copy—on their own and together—tell a great stories about Homecoming Week, a full-blown festivity that might otherwise get overshadowed in the yearbook by the school’s homecoming dance. Outside of week-long extravaganzas, timeline mods can also be used to highlight an entire season for one of your school’s teams (something like football is especially well suited to this format; since there are so few games on a typical high school schedule, it’d be relatively easy to offer a snippet of terse commentary alongside a photo for each gridiron matchup). A good story needs good characters. And when it comes to yearbook stories, those characters are often students. Highlighting them, then, will help your story package standout. 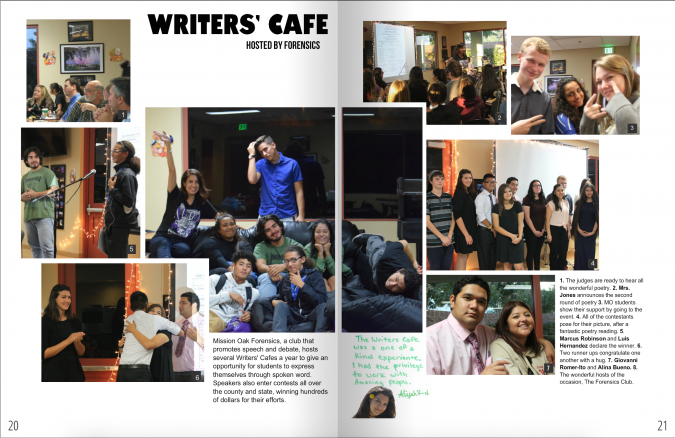 While the spread as a whole covers the Forensics club’s Writers’ Cafe series, the spotlight at the bottom center of the spread makes it all a little more personal. We love this approach. Everyone’s always talking about making sure you carry your theme throughout your book. Great idea, sure. (We’ve written plenty about that ourselves.) But, sometimes, you wonder: How do I do that? 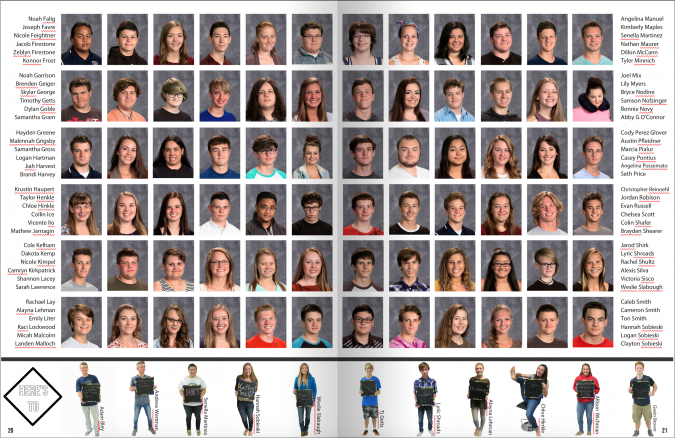 Bonus points for the staff at Garrett: they didn’t just find a way to incorporate their yearbook’s theme, but did so using students who are depicted elsewhere on the exact same page. Meta mod for the win. Mods are a great way to tell more of your school’s story, highlight more students, and build your design chops. While you’ll need to work with your designers on how best to incorporate mods into your spreads, they don’t need to be huge undertakings. 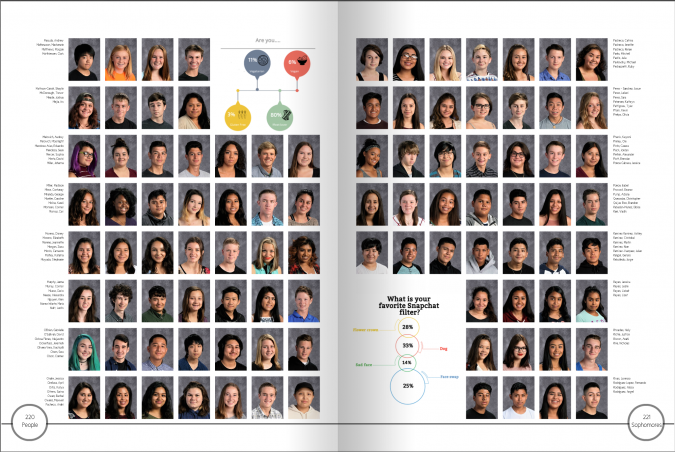 Still, using yearbook mod ideas like these in your book will pay major dividends in terms of both aesthetics and the sheer volume of interesting information on every page.